Lagos state police releases phone numbers of top officers, area commands, divisions – Royal Times of Nigeria. 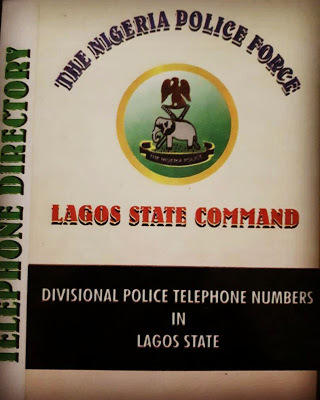 The Lagos State Police Command has disclosed to the general public the direct phone numbers of high ranking police officers and telephone directory of the command headquarters Ikeja, area commands and their divisions for easy access whenever the need arises. A press statement issued on Sunday, by the command’s spokesperson, ASP Olarinde Famous-Cole, said it was important to inform the residents about need to get in touch with the Police whenever they want to report criminal activities in their neighbourhood. It read: “It has become imperative that the Lagos State Police Command makes available the Telephone Directory of the Command Headquarters Ikeja, Area commands and their Divisions to the General Public. This information is to serve as a preventive method for members of the public to report criminals & criminal activities as well as report emergency incidents in the state. Members of the public can also reach us on the 767 / 112.